One of the only limitations to buying directly from a wine agency is that we have to sell to you only by the case. While most wineries ship in cases of 12 bottles, many of our most exciting and collectable wines come in cases of six. So, I have pulled together a small selection of really exceptional and above all else, delicious wines from our catalogue. These all come in cases of six, and all will enhance any chilly winter’s evening spent around a dinner table, relaxing with family and friends. A vibrant wine industry thrives in southern England and world-class “Champagne” method sparkling wines are setting the pace. Ridgeview is among the best, a family winery founded in 1994, focused solely on sparkling wines. Interestingly, the Queen has a small vineyard at Windsor Park and though we doubt she helps prune and harvest, Ridgeview has been retained to produce her sparkling wines. Ridgeview’s wines have been served at numerous State functions, including visits from the Chinese Premier and at the Queen’s Diamond Jubilee. If you have 3 minutes to enjoy a short film about the winery, click here. The villages and vineyards that surround the Grand Cru Montrachet offer some of the best values in high-end Burgundy. Alex Gambal buys fruit from select 1er Cru vineyards and lieu dits (special unclassified vineyards) to blend his village-level wines. He uses as little as 30% new oak in his ageing regime, and the resulting wines display all the elegance, poise, minerality, citrus and perfume expected from this part of the Côte d’Or. The cool, rolling hills of American Canyon and Carneros are home to most of Napa Valley’s Chardonnay vineyards. Here, the cooling effect of San Pablo Bay and the rolling fog provides a cool climate in an otherwise “Mediterranean” environment. 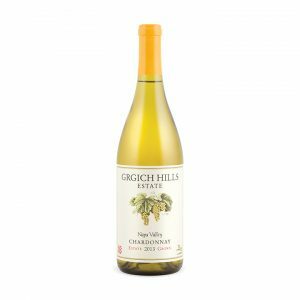 Grgich Hills’ vineyards are farmed using biodynamic methods that go beyond organic to a philosophical realm, treating the vineyard as one organism and not a collection of separate parts. Activities in the vineyard are carried out according to astronomical calendars. The resulting fruit is healthy, clean, chemical free and easily made into beautiful, expressive wine. Once the Chardonnay is pressed it goes into French oak barrels for fermentation. 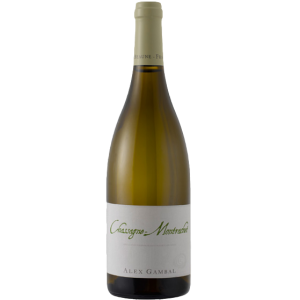 In Mike Grgich’s classic style, there is no malolactic fermentation, and so the wine retains freshness and crispness while the tropical fruit flavours and shadings of oak are nicely balanced. His style of Chardonnay earned world-wide acclaim when Mike was the head winemaker for Chateau Montelena. His 1973 Napa Valley Chardonnay won the now famous “Paris Tasting” hosted by Stephen Spurrier. Located in the heart of Rutherford, in the foothills of the Mayacamas mountains, Grgich Hills remains one of Napa’s most recognizable wineries. I would pour the 2013 with grilled fish, double-cream soft cheeses and veal chops. “Montosoli” was first bottled in 1975, a magical slice of terroir that Wine Spectator once called “Italy’s Second Most Expressive Vineyard”. (Sassicaia was number one.) Adding to its legend, Montosoli has only been bottled 20 times. It is an extremely complex and elegant wine. It shows a deep ruby red colour which turns a garnet red with age. Its bouquet has outstanding breadth with hints of black cherry, blackberries, raspberries, violet, licorice, vanilla and a slight accent of pink peppercorn. On the palate it reveals a dry, warm, velvety mouthfeel, rich and long on the finish. I think this is one of Italy’s great wines and great values. It will age for decades. The far-Sonoma coast, only miles from the cold Pacific, is California’s most exciting region for Burgundian and Rhône varietals. Ancient sea-bed soils, modest temperatures and brisk winds force vines to struggle, and as they say, “What doesn’t kill you makes you stronger”. Peay’s wines are captivating, multifaceted, contemplative and overall, delicious. This is artisan winemaking at its finest, an Estate for the discerning oenophile. In 1996, years before the Pinot Noir craze began, Duckhorn Wine Company was already establishing itself in Anderson Valley, north of Sonoma. Here, Alsatian and Burgundian varietals thrive in the cool, almost maritime river environment. Today Goldeneye is one of the appellation’s foremost producers. The 2013 vintage in Napa is widely regarded as the better of the two years. This is an amazing opportunity to buy what could be a legendary wine in the making. 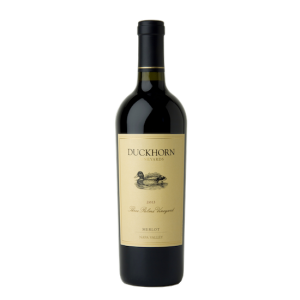 In 1994 Duckhorn set out to produce a blended wine that couldn’t be replicated anywhere in the world. In Tuscany, they blend Sangiovese with Cabernet Sauvignon to make “Super Tuscans”, in Australia it’s Shiraz and Cabernet Sauvignon, so in Napa – Zinfandel! Each vintage determines the proportions of the varietals but every year you can count on a full bodied, rich and fruit-forward wine with aromatics and palate presence, as opposed to those sweet-ish, bright purple, cloying wines that are often advertised as “Perfect for BBQ!”. This can be drank now and for 6-8 years. It is amazing paired with braised and grilled foods. Red Cap Vineyards is a very young winery, planted in 2003. It is only 10.5 acres in size, and at 1,900 feet above the Napa Valley floor, it is quite remote and spectacular. The iron-rich, nutrient-poor soils give the winery its name. They also give the Cabernet grown here it’s distinct minerally, dusty, rich, ferrous personality. Dark black berry, dark plum, black currant, mocha, iron, soft leather, terracotta and pie crust flavours and aromas mingle. The ripeness is apparent on the palate; the round, densely-packed tannins tug gently and the finish resonates long after you swallow. Red Cap produces only 300 cases annually (275 in 2013), and they certainly make something special. That production quantity is really too little to submit to the popular press, but in my estimate, this would be a 93-95 point wine by any critic’s standards. Stock is limited, so act fast! Quickly positioning itself at the top of the list of “Great Napa Cabs”, is Quintessa, planted in the heart of Rutherford. This is a biodynamic property. The annual blend is Cabernet dominant (but prescribed by the vintage) and each year it seems to get better. I can easily see this wine drinking well, without shutting down, for more than 20 years.